Today, the item product portfolio comprises more than 3,000 high-quality components designed for use in machine bases, work benches, automation solutions and lean production applications. 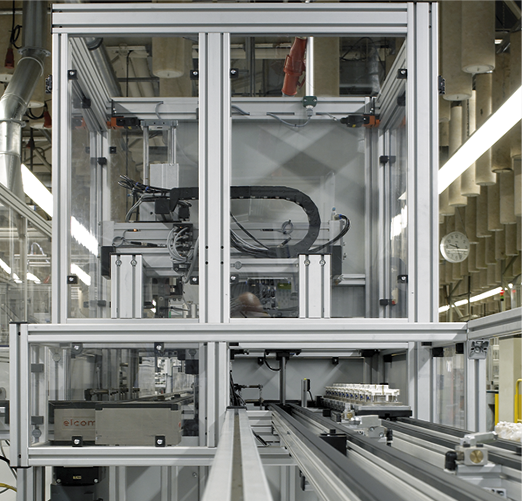 How can machinery be built faster, more cost-efficiently and with improved flexibility? 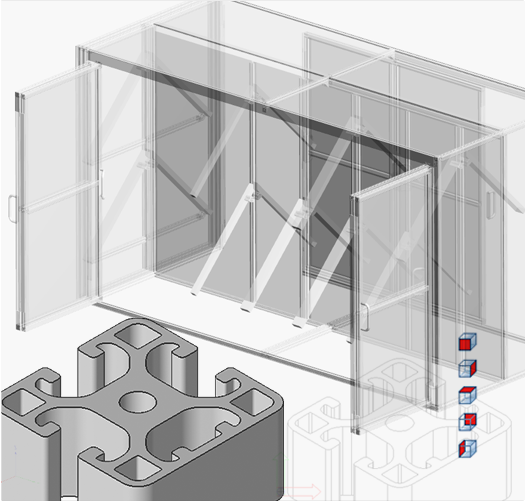 For more than 30 years, engineers around the world have been relying on the MB Building Kit System because it offers solutions that simply work. Over 350 different mix-and-match profiles, nuts and screws, handles and fasteners and even mechanical drive elements to create the customised solution for your specific needs! Want to save production costs? 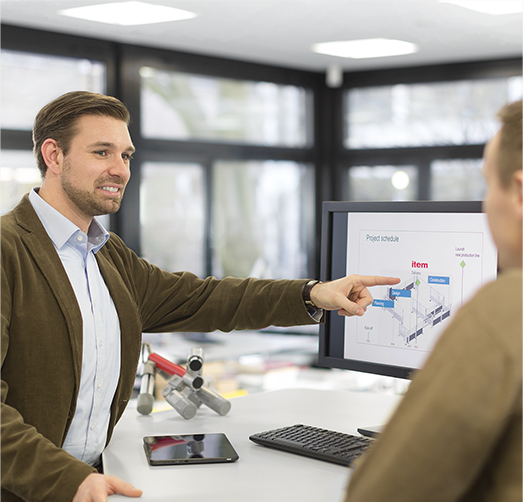 Automate your entire production line with item to increase output and quality while reducing labour costs at the same time. The Automation System offers ideal solutions for everything from simple positioning tasks right up to fully automated production lines. 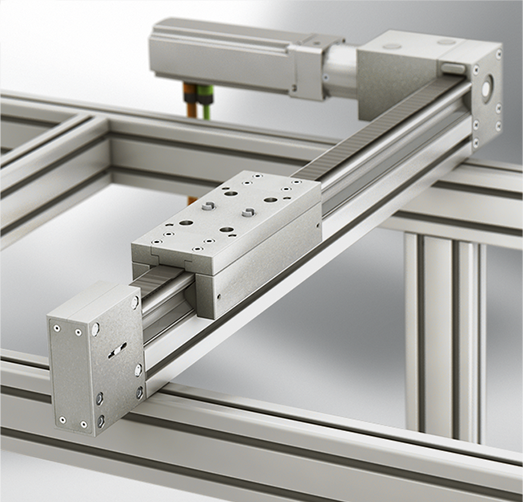 Automation technology from item helps you build slide systems with a stroke length of up to 24 meters. The concept of a tube system – but taken to a whole new level. The item Lean Production Building Kit System boosts your productivity. Easy to assemble, easy to convert – self-explanatory functional elements can be configured and reconfigured rapidly. As a universal and versatile system, it is ideal for building needs-based material provisioning and picking systems. Your own customised work bench. Your own customised work bench – fast, flexible, cost effective and ergonomic. 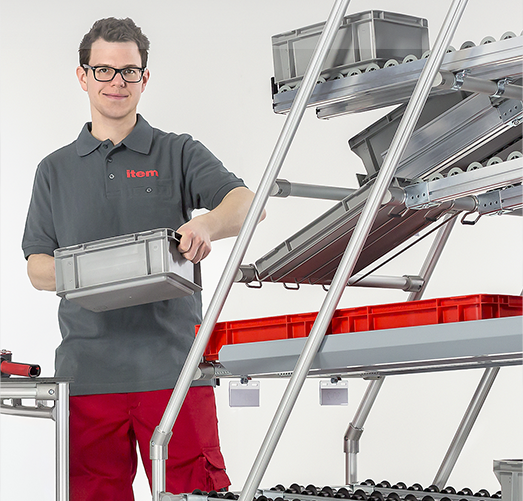 Integrated into production lines, as a module for production islands or as a standalone work bench – item will always have the right solution for all your needs! The Work Bench System from item makes all aspects of work bench design simple and intuitive. A wide range of ingenious accessories designed to complement production operations helps create ESD-safe assembly line work benches with systems for providing, picking and stowing materials and tools. 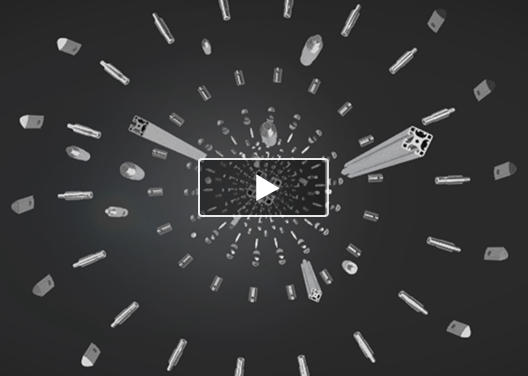 Free CAD DVD – everything you need for your engineering projects. You have almost done it. Please complete the missing fields. 10 Hoang Quoc Viet St. Thank you for your interest in item!